This drug can cause serious (possibly fatal) harm to an unborn baby if used during pregnancy. It is important to prevent pregnancy while taking this medication. Consult your doctor for more details and to discuss the use of reliable forms of birth control while taking this medication. If you are planning pregnancy, become pregnant, or think you may be pregnant, contact your doctor right away. Who should not take Valsartan? Read the Patient Information Leaflet if available from your pharmacist before you start taking valsartan and each time you get a refill. If you have any questions, ask your doctor or pharmacist. Take this medication by mouth with or without food as directed by your doctor, usually once or twice daily. The dosage is based on your medical condition and response to treatment. For children, the dosage is also based on weight. If you are using the liquid form of this medication, shake the bottle well for at least 10 seconds before each dose. Carefully measure the dose using a special measuring device/spoon. Do not use a household spoon because you may not get the correct dose. Use this medication regularly to get the most benefit from it. To help you remember, take it at the same time(s) each day. Keep taking this medication even if you feel well. Most people with high blood pressure do not feel sick. What conditions does Valsartan treat? Dizziness or lightheadedness may occur as your body adjusts to the medication. If any of these effects last or get worse, tell your doctor or pharmacist promptly. Although valsartan may be used to prevent kidney problems or treat people who have kidney problems, it may also rarely cause serious kidney problems or make them worse. Your doctor will check your kidney function while you are taking valsartan. Tell your doctor right away if you have any signs of kidney problems such as a change in the amount of urine. List Valsartan side effects by likelihood and severity. Before taking valsartan, tell your doctor or pharmacist if you are allergic to it; or if you have any other allergies. This product may contain inactive ingredients, which can cause allergic reactions or other problems. Talk to your pharmacist for more details. Before using this medication, tell your doctor or pharmacist your medical history, especially of: liver disease, loss of too much body water and minerals (dehydration). What should I know regarding pregnancy, nursing and administering Valsartan to children or the elderly? Does Valsartan interact with other medications? Store tablets/capsules at room temperature away from light and moisture. Do not store in the bathroom. Keep all medications away from children and pets. Store the suspension at room temperature for up to 30 days, or in the refrigerator for up to 75 days. Do not freeze. 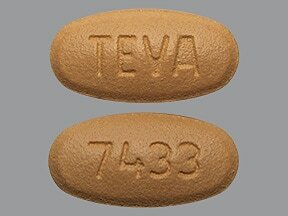 This medicine is a orange, oval, film-coated, tablet imprinted with "TEVA" and "7433". 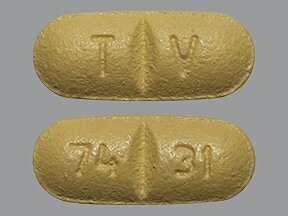 This medicine is a yellow, oblong, scored, film-coated, tablet imprinted with "T V" and "74 31". 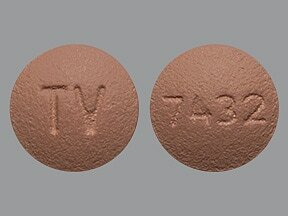 This medicine is a pink, round, film-coated, tablet imprinted with "TV" and "7432". 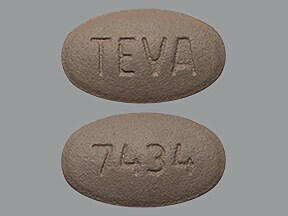 This medicine is a brown, oval, film-coated, tablet imprinted with "TEVA" and "7434". 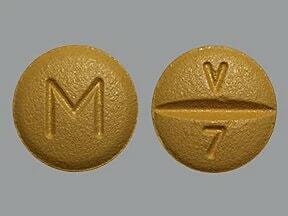 This medicine is a yellow, round, scored, film-coated, tablet imprinted with "M" and "V 7". 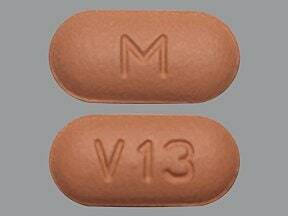 This medicine is a light red, oblong, film-coated, tablet imprinted with "M" and "V13". 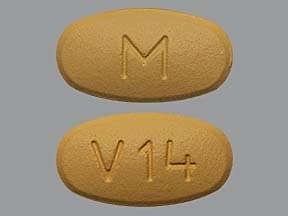 This medicine is a light orange, oval, film-coated, tablet imprinted with "M" and "V14". 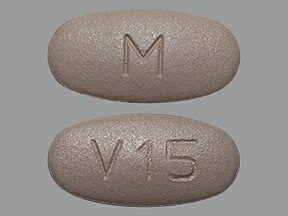 This medicine is a dark violet, oval, film-coated, tablet imprinted with "M" and "V15". 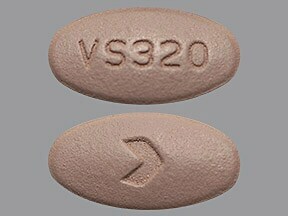 This medicine is a dark grayish violet, oval, film-coated, tablet imprinted with "VS320" and "logo". 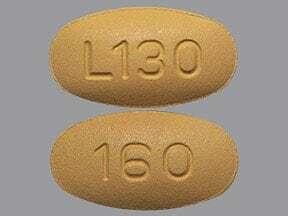 This medicine is a yellow, oval, film-coated, tablet imprinted with "L130" and "160". 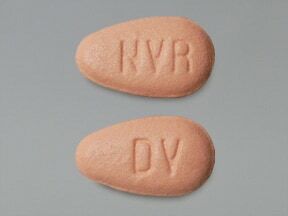 This medicine is a pale red, almond, tablet imprinted with "DV" and "NVR". 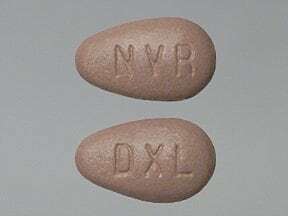 This medicine is a dark grayish violet, almond, tablet imprinted with "DXL" and "NVR". 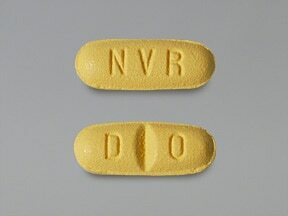 This medicine is a yellow, oval, scored, tablet imprinted with "NVR" and "D O". 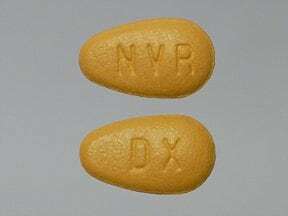 This medicine is a gray orange, almond, tablet imprinted with "DX" and "NVR". 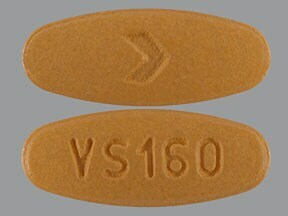 This medicine is a orange, oval, film-coated, tablet imprinted with "VS 160" and "logo". 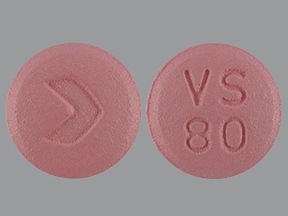 This medicine is a pink, round, tablet imprinted with "VS 80" and "logo". 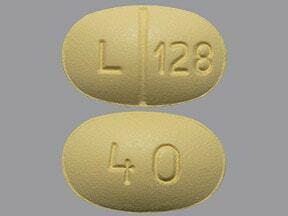 This medicine is a yellow, oval, scored, film-coated, tablet imprinted with "L 128" and "40". 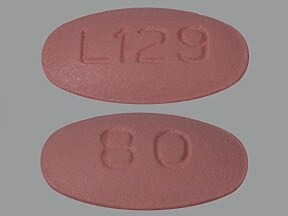 This medicine is a pink, oval, film-coated, tablet imprinted with "L129" and "80". 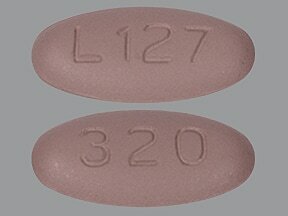 This medicine is a purple, oval, film-coated, tablet imprinted with "L127" and "320". 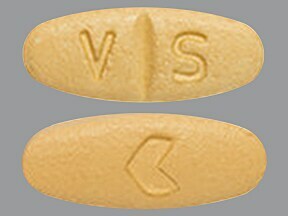 This medicine is a yellow, oval, scored, tablet imprinted with "V S" and "logo". 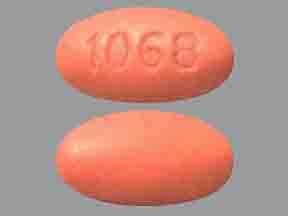 This medicine is a brick red, oval, film-coated, tablet imprinted with "1068". 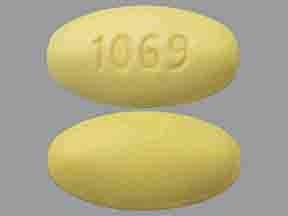 This medicine is a yellow, oval, film-coated, tablet imprinted with "1069". 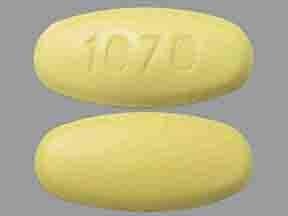 This medicine is a yellow, oval, film-coated, tablet imprinted with "1070". 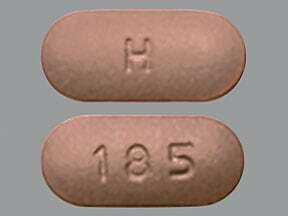 This medicine is a gray violet, oblong, film-coated, tablet imprinted with "H" and "185". 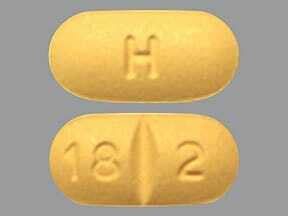 This medicine is a yellow, oblong, scored, film-coated, tablet imprinted with "H" and "18 2". 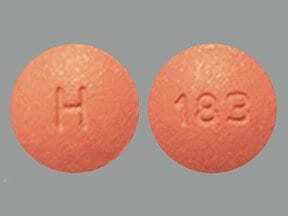 This medicine is a pink, round, film-coated, tablet imprinted with "H" and "183". 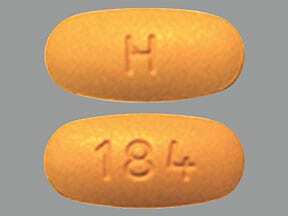 This medicine is a yellowish-brown, oval, film-coated, tablet imprinted with "H" and "184". 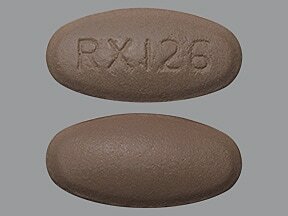 This medicine is a brown, oval, film-coated, tablet imprinted with "RX126". 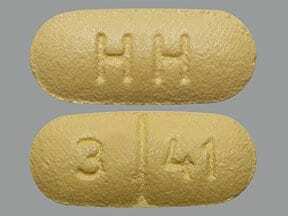 This medicine is a yellow, oblong, scored, tablet imprinted with "HH" and "3 41". 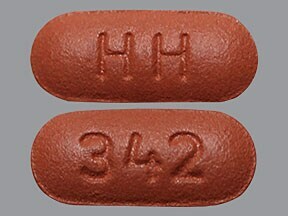 This medicine is a brown, oblong, tablet imprinted with "HH" and "342". 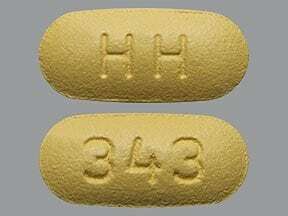 This medicine is a yellow, oblong, tablet imprinted with "HH" and "343". 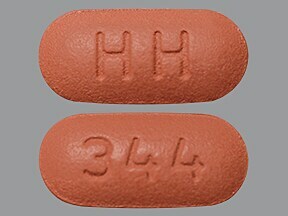 This medicine is a brown, oblong, tablet imprinted with "HH" and "344". 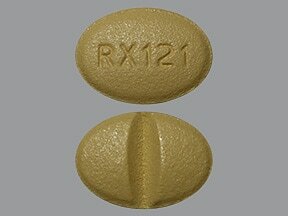 This medicine is a yellow, oval, scored, film-coated, tablet imprinted with "RX121". 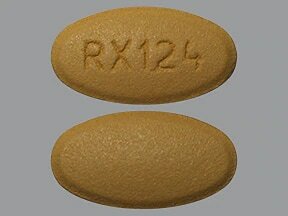 This medicine is a yellowish-brown, oval, film-coated, tablet imprinted with "RX124". 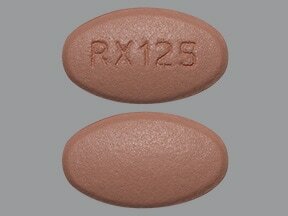 This medicine is a pink, oval, film-coated, tablet imprinted with "RX125". 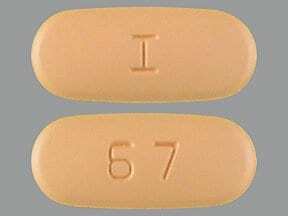 This medicine is a gray orange, oval, film-coated, tablet imprinted with "I" and "67". 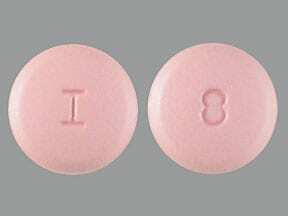 This medicine is a pale red, round, film-coated, tablet imprinted with "I" and "8". 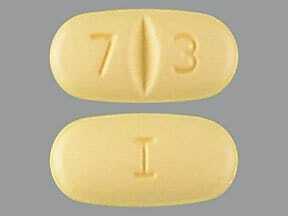 This medicine is a yellow, oval, scored, film-coated, tablet imprinted with "I" and "7 3". 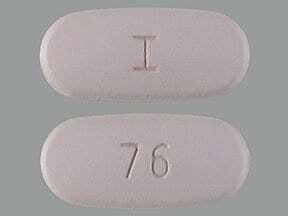 This medicine is a dark grayish violet, oval, film-coated, tablet imprinted with "I" and "76". 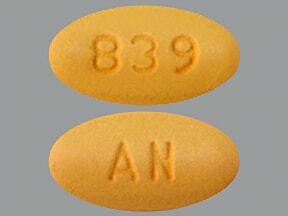 This medicine is a yellow, oval, film-coated, tablet imprinted with "839" and "AN". 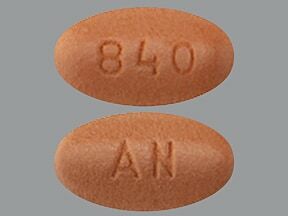 This medicine is a brown, oval, film-coated, tablet imprinted with "840" and "AN". 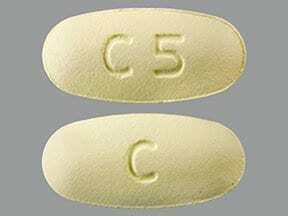 This medicine is a yellow, oval, film-coated, tablet imprinted with "C5" and "C". 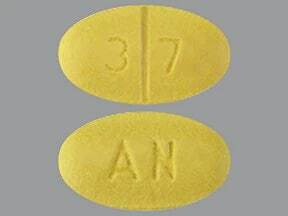 This medicine is a yellow, oval, scored, film-coated, tablet imprinted with "3 7" and "AN". This medicine is a pink, oval, film-coated, tablet imprinted with "838" and "AN". 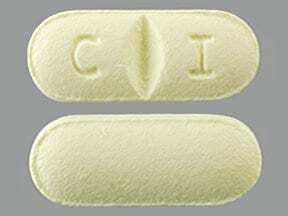 This medicine is a yellow, oblong, scored, film-coated, tablet imprinted with "C I". 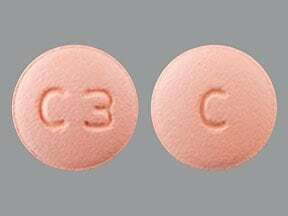 This medicine is a peach, round, film-coated, tablet imprinted with "C3" and "C". 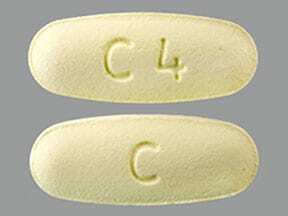 This medicine is a yellow, oval, film-coated, tablet imprinted with "C4" and "C". Are you considering switching to Valsartan? How long have you been taking Valsartan?